I recently watched Disney’s Ratatouille movie for the 99th time. If you haven’t seen it yet, the moral of the story is that anyone can cook, even a rat. (It’s a cartoon, so don’t freak out.) Ratatouille is also a French dish and after watching the movie I was inspired to create my own version of this classic. This is a simple saute of eggplant, zucchini, and squash in a tomato based sauce and served over polenta. Cook the cornmeal into polenta according to the directions on the box. While the polenta is still hot, portion it equally into 4 round cookie cutters. I used English muffin rings, which are about 3 and 1/2 inches in diameter. Let it set. Add the chopped onions and cook them until they are tender. Add in the minced garlic, sliced eggplant, zucchini, and yellow squash. Season with salt and pepper and cook until all of the veggies are tender and slightly browned, stirring occasionally. Stir in the petite diced tomatoes and fresh thyme and cook for an additional few minutes. The goal here is to warm up the tomatoes. Once the polenta has set, lift up the ring. Use a spatula to place it onto the serving dish. Place the slices of veggies in a concentric circle on top of the polenta, alternating the veggie type. Top with a spoonful of the tomatoes. Sprinkle with additional fresh thyme. Even though this recipe is basic and simple, I was in the mood to give it a fancy presentation like I saw on Ratatouille. 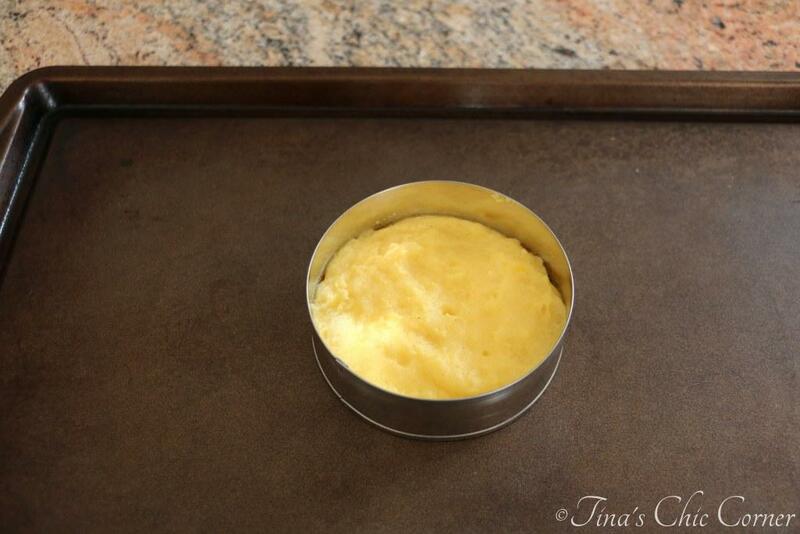 I used an English muffin ring to make the disc of polenta because the size is perfect for one portion. Eggplant, zucchini, squash, onions, and tomatoes are the quintessential veggies found in most ratatouille recipes. I seasoned the mixture with some thyme. It’s hard to explain it’s flavor, if you’ve never had it. I can say that it’s an earthy mild flavored herb that pairs well with lots of different vegetables. I’m a bit of a perfectionist so I got a lot of satisfaction carefully placing the veggies in a concentric circle. Don’t want to be bothered? No problemo. Ratatouille is from the category of dishes commonly referred to as “peasant dishes” because all of the ingredients are inexpensive and readily available. I guarantee that your dish will be just as tasty if you place the veggies on top of the polenta with no rhyme or reason. My husband took the leftovers that I didn’t bother shaping into a beautiful presentation for lunch and definitely enjoyed it just as much without the presentation points. Do you think anyone can cook? Here are some other great dinner ideas. 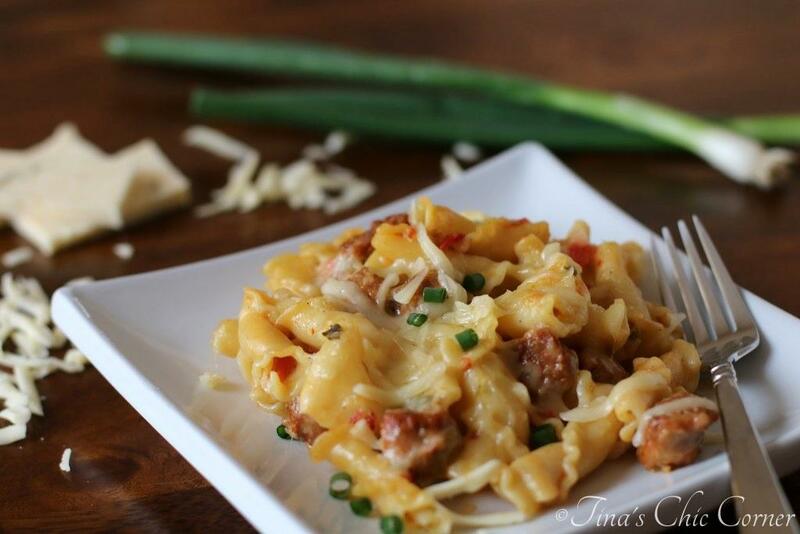 This dish is very appealing for dinner or to make bite size for an appetizer. I’ve never made polenta before because it intimidates me, but I’ll give a try. Like you said, “anyone can cook”, so I’ll give it a try. I love this! I actually just made ratatouille for dinner the other night and while eating it wished I had thought to make some polenta! And I love the way you served it with the polenta rounds – definitely doing that next time for dinner! I have seen Ratatouille (only once though) and I love that it was your inspiration for this dish! Your pictures are beautiful! Ratatouille is a summer favorite of mine! I cannot wait for our zucchinis and tomatoes to grow so I can cook this! It looks especially wonderful paired with the polenta oh yum!! Tina this looks delicious! Ratatouille is delicious and I love how you present it on polenta. I’m always looking for new ways to use it. Thanks! I absolutely love the movie Ratatouille! It’s so good. Oh, and I definitely like the dish ratatoiulle as well 😉 This looks amazing! Ratatouille is one of my favorite things, and it looks so delicious over that polenta! I love the beautiful presentation!! Ratatouille is one of my favorite sauces. Have not tried it with polenta yet. I love Disney’s Ratatouille, it’s such a great animated movie. I really like what you did with this recipe. I absolutely love polenta and ratatouille, but never thought of combining the two. Great recipe. Love that movie! 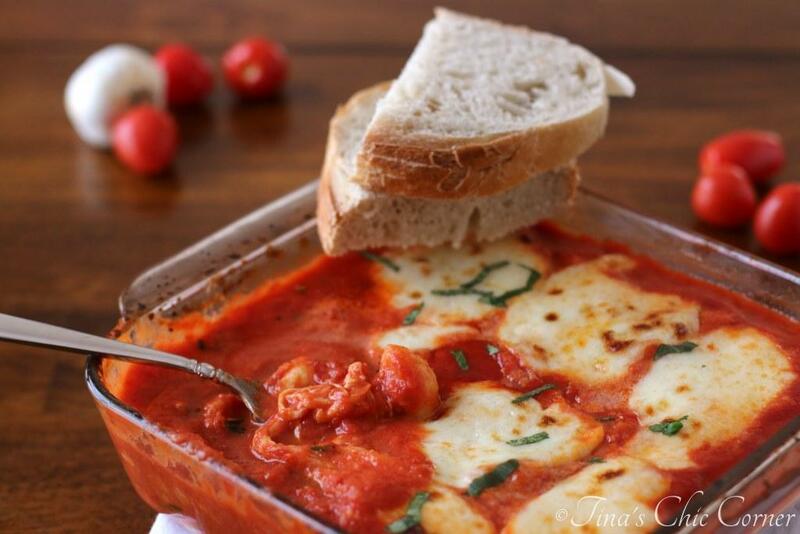 And every Disney movie for that matter…Your ratatouille looks just as good as it does in that movie! I’ve never tried it before, but I’m super interested! This looks so yummy! My husband and I are Disney movie fans too. 🙂 Thank you for your lovely compliments! What a nice presentation, Tina! Pretty and it sounds delicious, too. I’ve had polenta and ratatouille separately before, but together I bet they taste wonderfully! I feel like this is almost too pretty to eat! 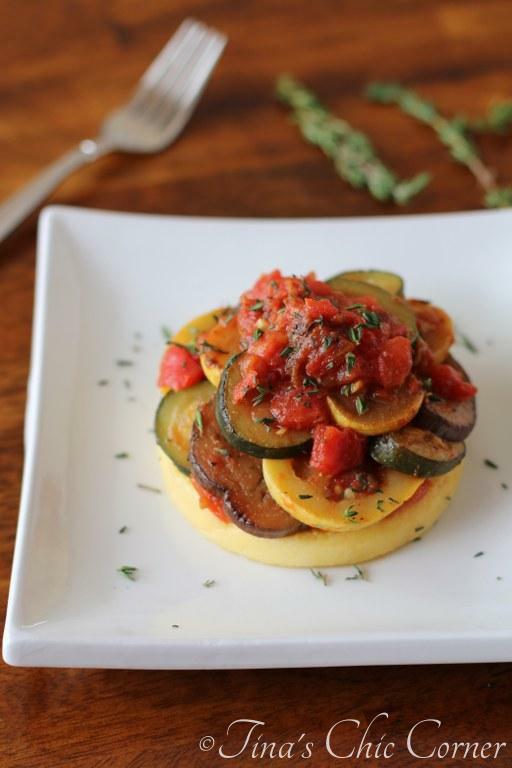 Ratatouille is one of my favorite summer foods and it looks so elegant over polenta! This looks so elegant and beautiful! 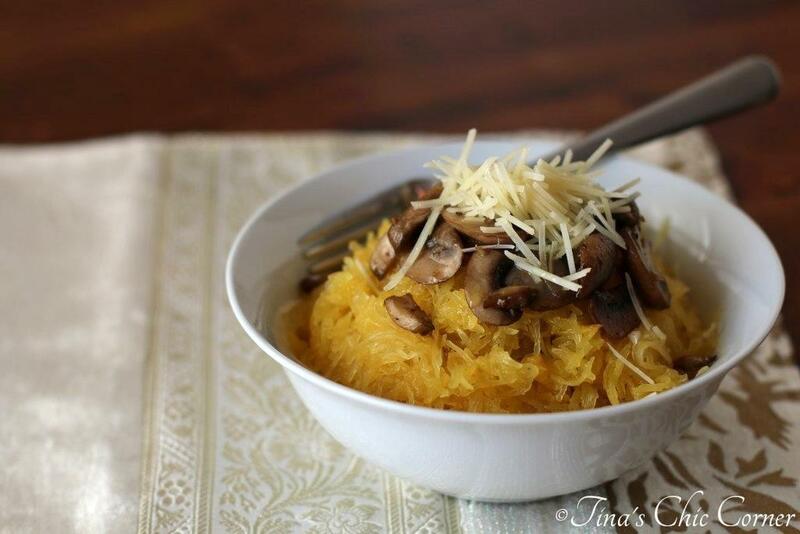 Polenta is one of my favorite foods, so I’m always drawn to recipes that involve it. Also, I *love* the movie Ratatouille – and I really do think anyone can cook (the people who protest probably just can’t follow instructions, which is all you really need to be able to do)! Ratatouille the food, and the film are brilliant. 🙂 For a long time, this was the only way I would eat my veggies. I was a little precious as a teen. LOL! I do believe anyone can cook, if you can read, you can cook. The world is over flowing with amazing recipes and foods, really its just laziness that stops us from eating lovely healthy foods. I really should get on eating and watching asap.